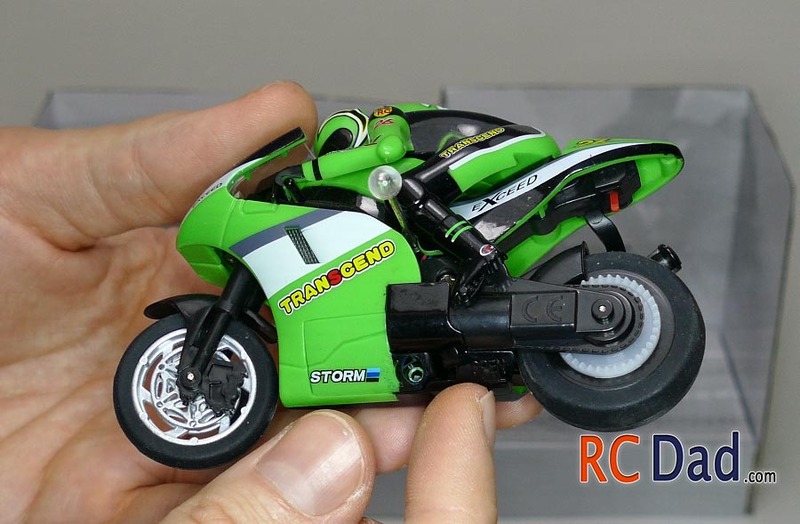 This mini rc motorcycle is a lot of fun. It has a weighted gyro in the rear wheel that will keep it upright even at slow speeds. The tires are made out of thick quality rubber that really helps it corner at high speeds. 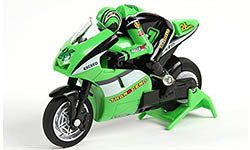 The throttle is proportional which is great to see on such an affordable toy. There are two plastic balls that act as skid guards, keeping the bike from leaning too far to the side and this helps in two ways. 1. It helps when cornering, keeping the bike from falling on its side. 2. When completely stopped, they keep the bike at a 45 degree angle so you can easily keep driving without having to retrieve the bike every time it tilts over. My only two complaints are the durability. 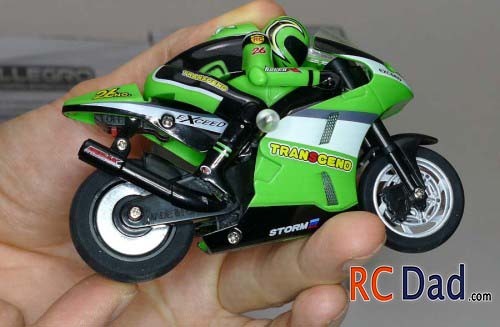 This is on the fragile side, although in all fairness, I did put this rc motorcycle through a lot of abuse. When I was first testing it, I was running it on a rough surface causing the bike to tumble and flip. 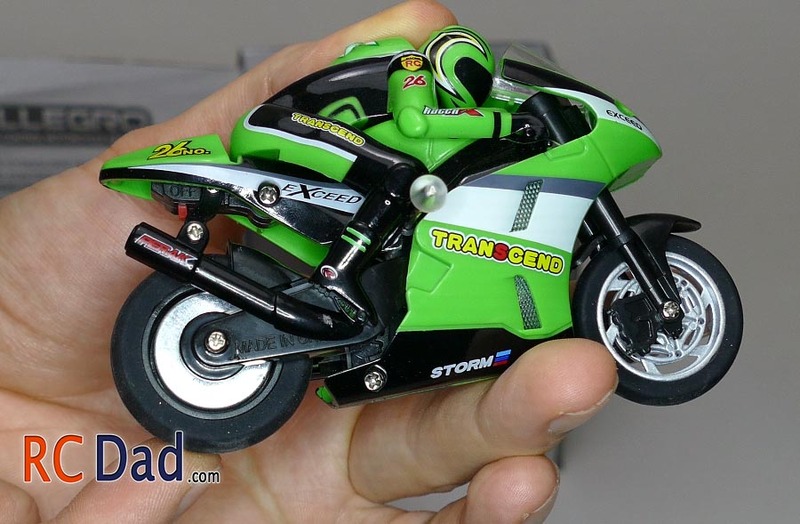 This bike was really meant to be driven on a smooth surface with a lot of care. 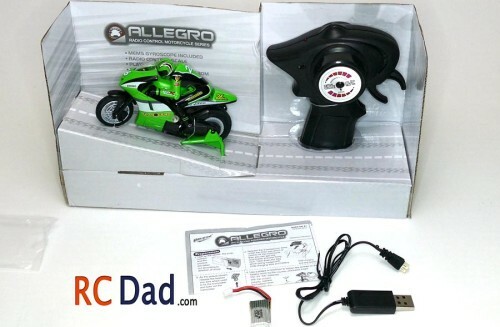 If you’re gentle with this toy, you will really enjoy it. I had a lot of fun while it lasted and will definitely be buying another one. My second complaint was the steering. For some reason when I first testing it out, it would only steer right. The next day it would steer both directions just fine. I’m not sure if I shook something loose that actually helped it or what. I was just hoping for more consistent steering.